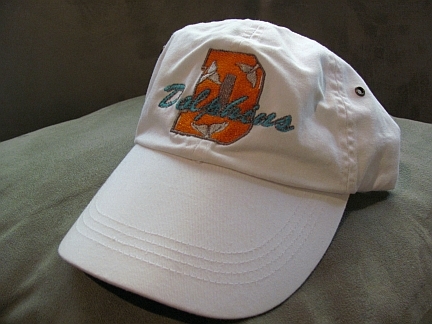 Wearing this adjustable back, white, low profile cap is a great way to support your favorite Dolphin! Player name & number added to back or side at no extra charge. Great for cheerleader supporters, too! Have more than one Dolphin on your roster? Add a second name for $3. You choose teal or orange letters for name.